Things have been rather quiet here at Ibycter lately, with less in the way of Weekend Expedition posts and no Cheapskate Tuesday posts for a while. The reason for this is that Catherine and I are getting ready to make a trip to Honduras to do a preliminary conservation study on Red-throated Caracaras. 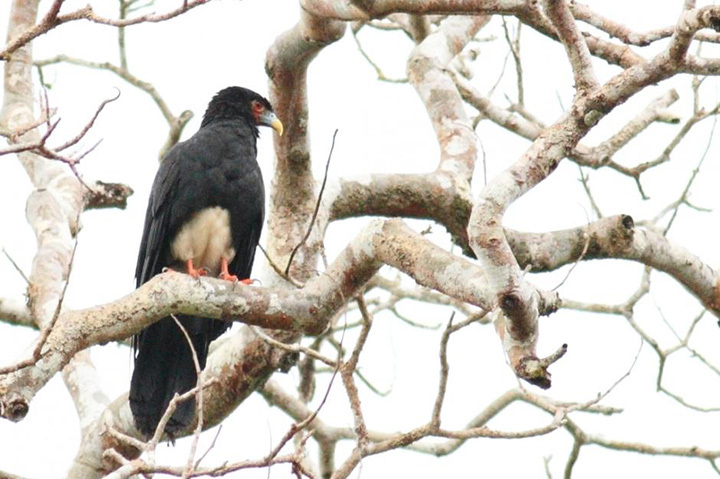 If you remember from back in June, the Honduran Conservation Coalition found and monitored a nest site in the Olancho Department, and they believe there is still a sizable population of caracaras nearby. I have wanted to work on Red-throated Caracara conservation biology for a long time, as no formal study has been done on the conservation of these birds in Central America. 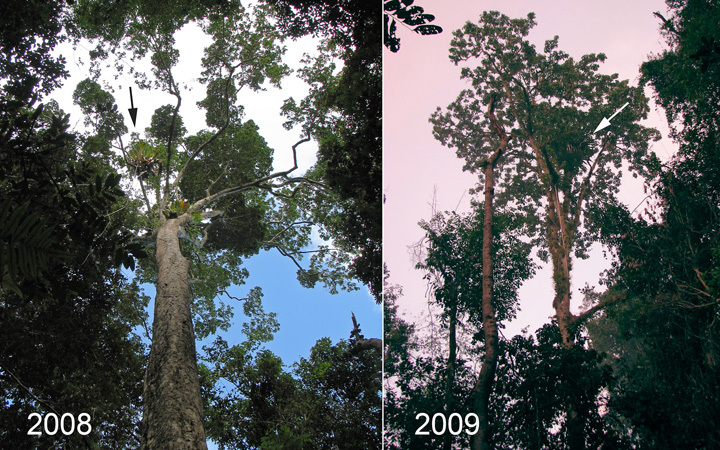 They are in steep decline across the region, and have disappeared from Mexico and Guatemala. I was invited by Mark Bonta to come and do some research on these birds, and so, because I had funding from the National Birds of Prey Trust to do conservation research, I informed them of a change in venue to the heart of the region where caracaras are declining. We have since secured some more funds from the Zoo Conservation Outreach Group, as well as a private donor, and so we will be going to implement the start of the project. This project will see us engaging the local volunteers and researchers to help us determine home range sizes and habitat occupancy of caracaras in the forests near Gualaco. We will do radio tracking of birds from various caracara groups in the area, and will hopefully be able to get a preliminary estimate of home range size. 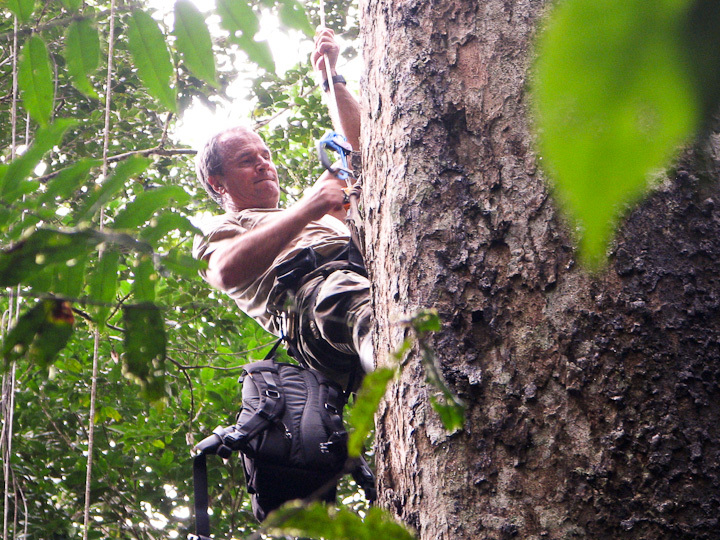 We will also do call-playback surveys of the forests in order to determine the numbers of groups occupying the area. 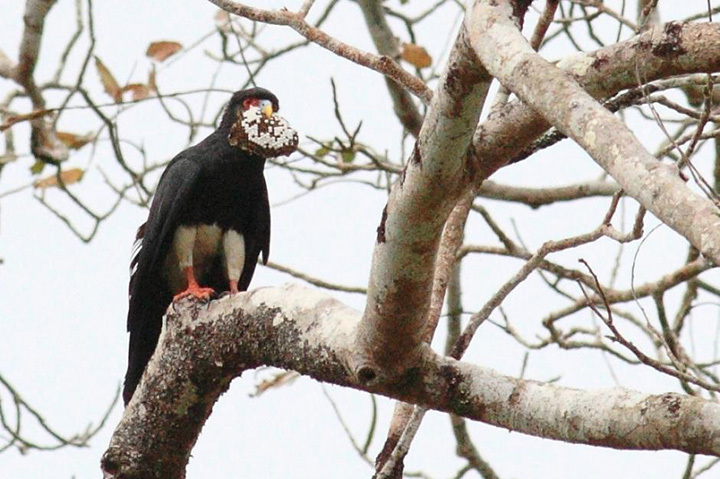 A third objective is to make further documentation of nesting behavior and food habits of the caracaras, as this is relatively unknown for the region. Anyway, we ship off Monday, and will arrive in Tegucigalpa on Tuesday. After that we will be guided around the region and introduced to the stakeholders and collaborators. This is my very first field research conducted outside the bounds of a research camp, so making sure that everything is in order is a bit stressful. We hope, however to continue to blog both here, at Catherine’s SpiderBytes blog and also at the ESC blog about all the cool stuff we encounter and the process of doing exploratory field research. If you happen to be in Vancouver this coming Sunday, please consider dropping by for my talk at UBC’s Beaty Biodiversity Museum. The talk is at 1 pm at the Museum’s lecture hall. The talk is geared to a general audience, and will be filled with cool videos from our recent paper, as well as other unpublished stuff about territoriality and social behaviour. 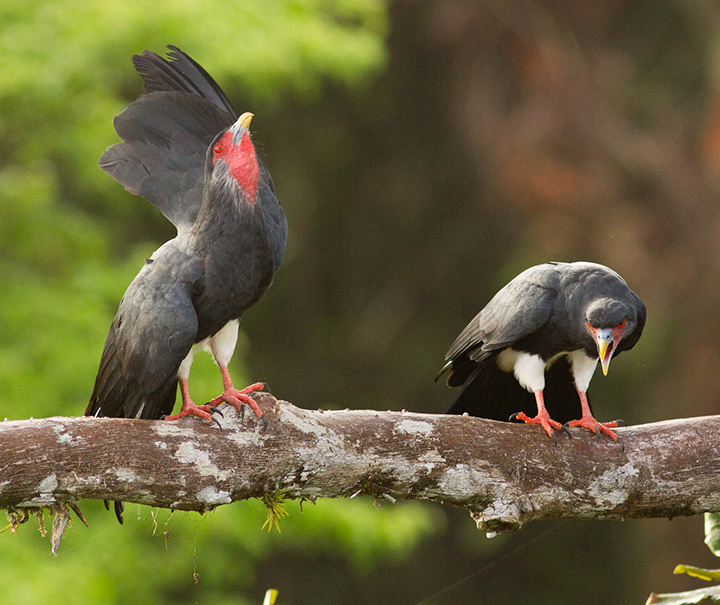 Red-throated Caracaras are way cool because…They are the wasp-murdering superheroes of the rainforest! Not many animals like to attack and eat social wasps because the stings of these insects are usually an effective defense. The Red-throated Caracara manages to overcome this defense daily, bringing 9 to 15 wasp nests per day to its chicks, and somehow avoiding a painful death from wasp stings. 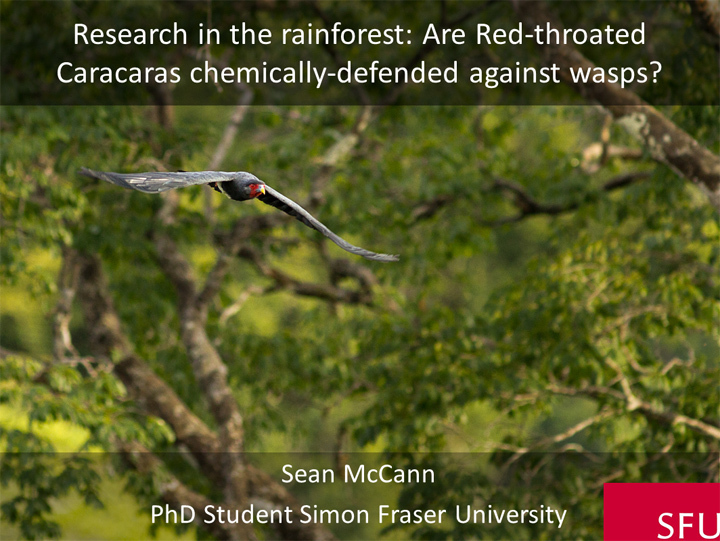 Sean McCann, PhD student at Simon Fraser University and his team investigated the nesting, territorial, and wasp predation behaviour of these wasp specialists over five years to get a better picture of the fascinating life history of these amazing birds. This entry was posted on December 31, 2013, in Red-throated Caracara Research and tagged Beaty Museum, Red-throated Caracara, talk, UBC, Vancouver. This entry was posted on October 19, 2013, in Red-throated Caracara Research and tagged Costa Rica, Ibycter americanus, Red-throated Caracara, video. Photo copyright Phillipe Gaucher, 2008. The fruit sitting near the chick is from the tree itself. Determining the diet of birds is difficult undertaking. Because predation is so difficult to observe in the field, a relatively unbiased way to gather data on food habits is to place a camera in the nest to record the types of food brought to chicks. In my literature search on Red-throated Caracaras, I had come upon several references of gut content examination from shot specimens , as well as some field observations by J.M. Thiollay  and Whittaker , but little in the way of quantifiable data on the diet of caracaras. Because my research project was on the adaptations of a specialist predator of social wasps, we needed to first determine whether Ibycter americanus was in fact a specialist! There are lots of delicious wasps in the jungle, like these Apoica albimacula, but are the caracaras eating them? 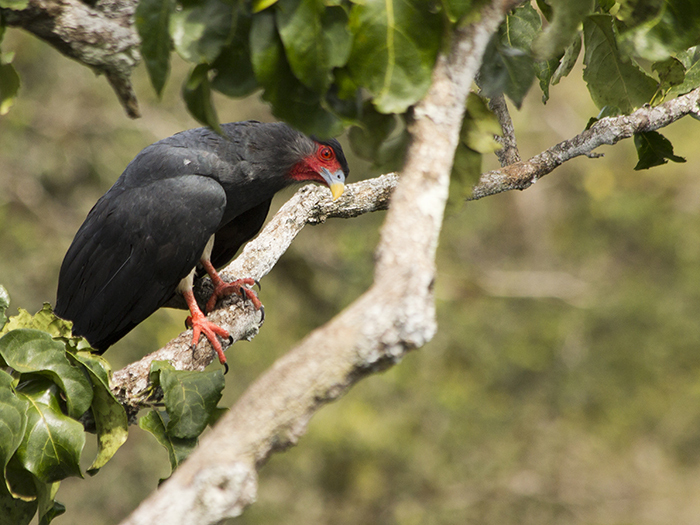 In 2008, my field assistant Onour Moeri and I were extremely fortunate to discover a nest of Red-throated Caracaras not far from the Inselberg Camp of the Nouragues Station in Central French Guiana. They appeared to be nesting in a large bromeliad, 45 m up a Chrysophyllum lucentifolium tree. 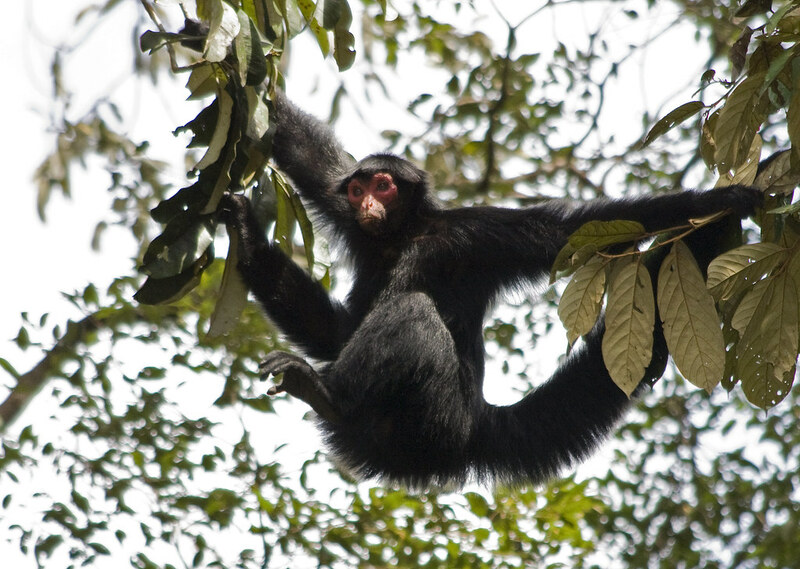 These big trees in the Sapotaceae produce a large hard fruit, that despite its copius latex, is a favourite food of spider monkeys (Ateles paniscus). There were certainly lots of spiders coming to the tree every few days, raining down discarded fruits from high above. We evacuated the area as soon as they reached the tree, as the hard, heavy fruits were travelling very quickly when they hit the ground! This find was a great breakthrough for us, as we now had a reliable focal point to find the birds and observe their behavior. We were extremely excited, because this was only the third nest ever observed by scientists, and as such was an amazing opportunity to gather data on the habits of the birds. We spent the first few weeks on the ground below the nest tree, watching with binoculars as adult birds arrived with food. We observed them bringing wasp nests and fruit, arriving roughly every half hour. This was not the most fun thing to do, as sitting still in the jungle looking up all day is actually kind of difficult, especially when it rains. The data we were getting was spotty and probably quite biased…Not good! 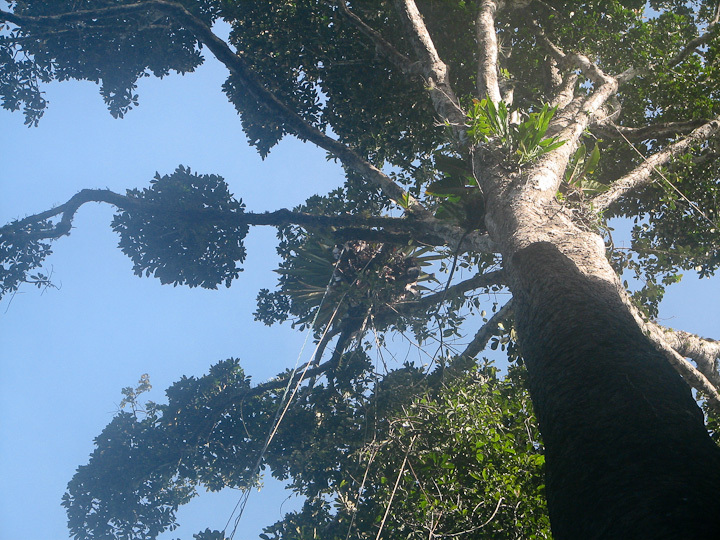 We also found another nest in 2009, in another bromeliad 40 m up a different tree. We have good reason to suspect it was made by the very same group. I am not showing any footage of this, due to its low quality! We got good data from it however. Luckily, going above and beyond the call of duty, Philippe Gaucher (the technical director at Nouragues, and a good friend) was kind enough to track down some video recording equipment in Cayenne and bring it back for us to set up a nest camera. On Feb 2 he climbed the nest tree to install it. The nest contained a single caracara chick, which we later sexed as a female, via a genetic analysis from a plucked feather. The still pictures Philippe took up there were the very first (that I know of) ever taken of a Red-throated Caracara chick. Evidently, these caracaras had not constructed the nest at all, but rather had torn the bromeliad leaves to make a platform to lay an egg on. Like many insects and frogs, the Red-throated Caracaras are bromeliad breeders! 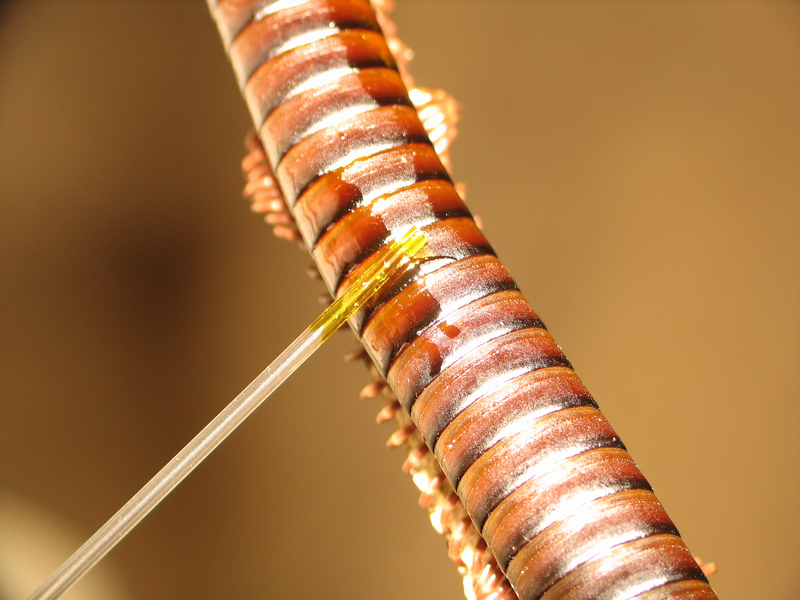 The photos also showed evidence of predation on both wasps and millipedes! We were extremely excited to have this equipment installed, and that very night we started getting video from the nest. Philippe climbing the nest tree to install the camera. Each evening, I would go down to the nest after dark (there were a lot of tarantulas I became quite familiar with) and lug the DVR and usually the 20 kg battery back up the hill. Then every morning before dawn, I would take the recharged battery down and replace the DVR for that day’s recordings. The setup involved a large plastic box, to shield the DVR from rain, plus a tarp to do more of the same thing. With the DVR running in the box, there was little danger of water damage (it was the rainy season), but to leave it there at night without power was out of the question. 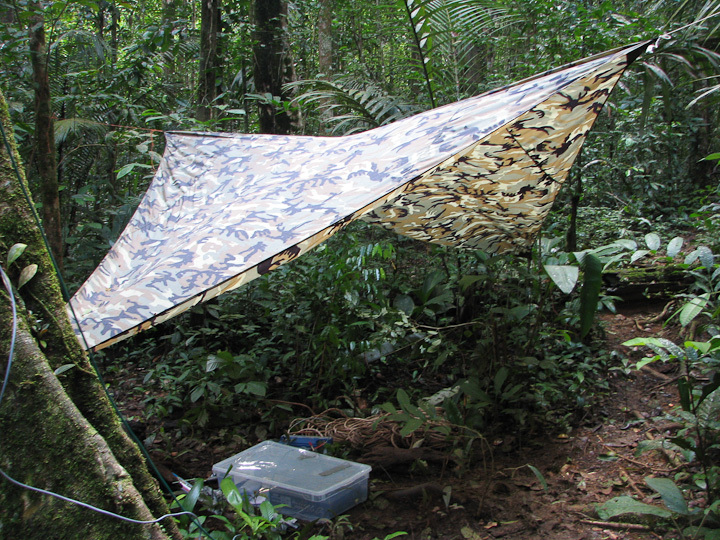 Unpowered electronic devices (that are not making heat) often succumb to the near 100% humidity of the rainforest. The DVR in place under the tree. The tarp protects from falling fruit and rain, and the DVR stayed cosy in the Tupperware! 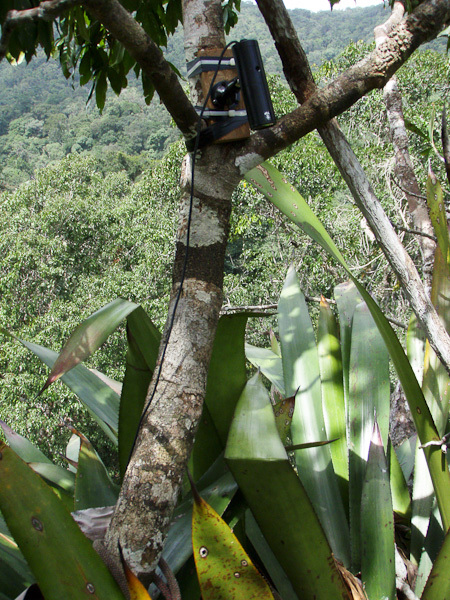 The camera in place over the bromeliad, about 1 m above the nest. Photo by Philippe Gaucher. After a couple days of recording, we quickly discovered that the “waterproof” camera was less than watertight; our lens had fogged up with internal condensation. A whole day of wasted recording! Phillipe had flown back to Cayenne, so there was nothing for it but to go up the tree myself and fix the camera. I had trained in tree climbing back when I was an environmental activist, so I knew what to do, but still, this was a 45 m straight climb up to a spiky bromeliad, with possibly murderous birds protecting their nest. The climb was exciting, though relatively uneventful, and I retrieved the camera and dried it out. Then, after jamming a silica gel dessicant pack into the housing, I carefully wrapped every threaded connection with Teflon tape. With the camera returned to the nest, we continued filming. 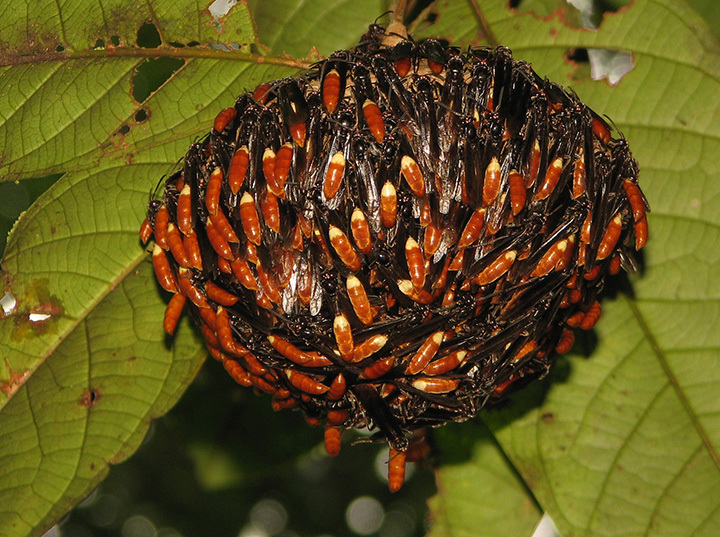 A Polybia nest brought via an overhead branch. In total, we managed to get about 100 hours of recording done over 10 days. During that time, we recorded 186 items being brought to the chick, most of which were the nests of social wasps, but also fruits, millipedes and a single snail. Back in the lab, I watched these hours of footage, timing the arrivals and departures, the types of prey, and other aspects of the footage. I organized all of this in a database, which is the best way of storing large amounts of data and retrieving it in a format for analyses. The chick receives a delivery of an Angiopolybia or Pseudopolybia nest. Notice how packed the brood comb is with larvae and pupae. Breakdown of the diet over 2 years. Most of the items (and definitely most of the biomass) were the brood-filled nests of social wasps. A large spirostreptid millipede is brought to the chick. The large spirostreptid millipedes were brought intact, and were decapitated by the adults, after which they generally tried to feed bits to the chick. Usually, the chick ate very little or perhaps none of this material. These large millipedes are well-defended with a lot of noxious benzoquinones, which are toxic, irritating and carcinogenic compounds. My suspicion is that these are in some way related to chemical defense against ectoparasites, as some birds as well as capuchin monkeys are reported to anoint themselves with the millipedes’ secretions . 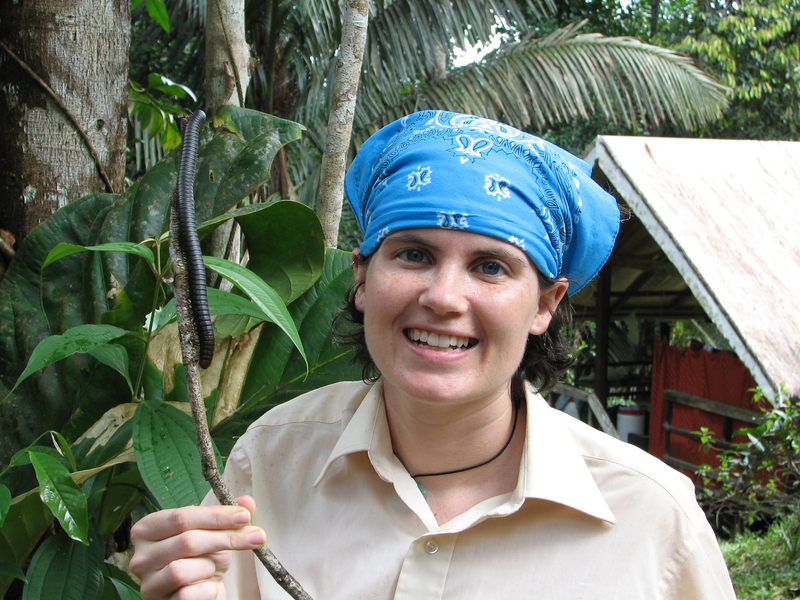 Onour with a millipede on a stick! The nasty, nasty secretion from these docile animals. It burns the skin, and seems to stain it purple. Oh yeah, and then your skin smells of millipedes. Though we had no birds marked, on a few occasions we saw more than two adults bringing prey to the chick, confirming Thiollay  and Whittaker’s  observations of cooperative breeding . In 2009 we captured and colour-banded four adults and were able to determine that as many as 6 and most likely 7 birds bringing prey to a single chick ! This is highly unusual in raptors, and another reason I love these caracaras so much. What kind of remarkable social system is this? Which individuals get to breed? Are all the helpers young from previous years (delayed dispersal) or are there joiners from other groups? We still do not know the answers to these questions, but I hope to find out in the future. Two adults deliver fruit, while a third remains in the nest with the chick. Watching the videorecordings of nesting behaviour has been one of the highlights of my career so far. Seeing this drama unfold for the very first time was so exciting; no one had observed this species ever before, and my job was to describe it to the world. What a treat! And to watch closely at all the magical moments in a young bird’s life was just priceless. 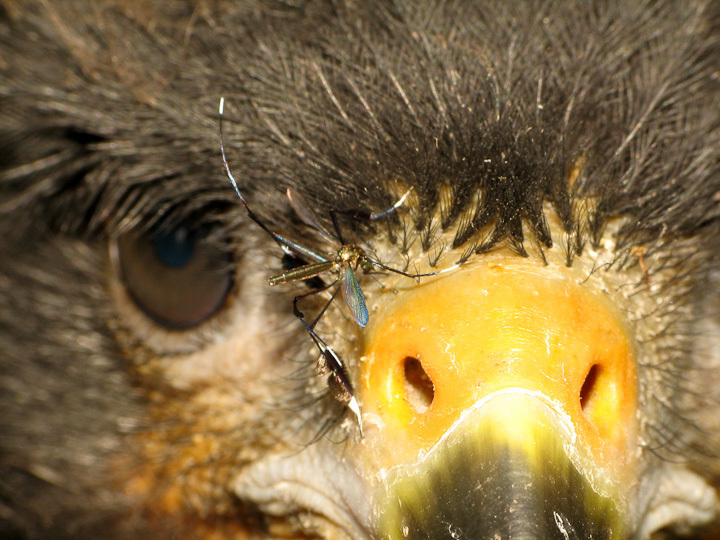 Check out this caracara chick observing an insect flying overhead. The interest she shows in this event is so cool to see, and you get the notion that she is learning lessons every waking moment that will help her out when she is out foraging for herself. 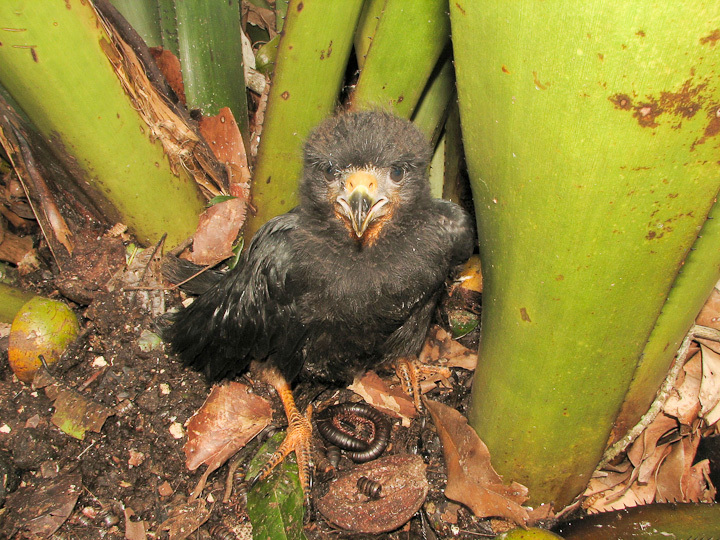 This young caracara is a truly professional entomologist! By March 17, we had no more time left in the field, and no one to continue the camera work. We had to take down the setup and get packed up to return to Canada. 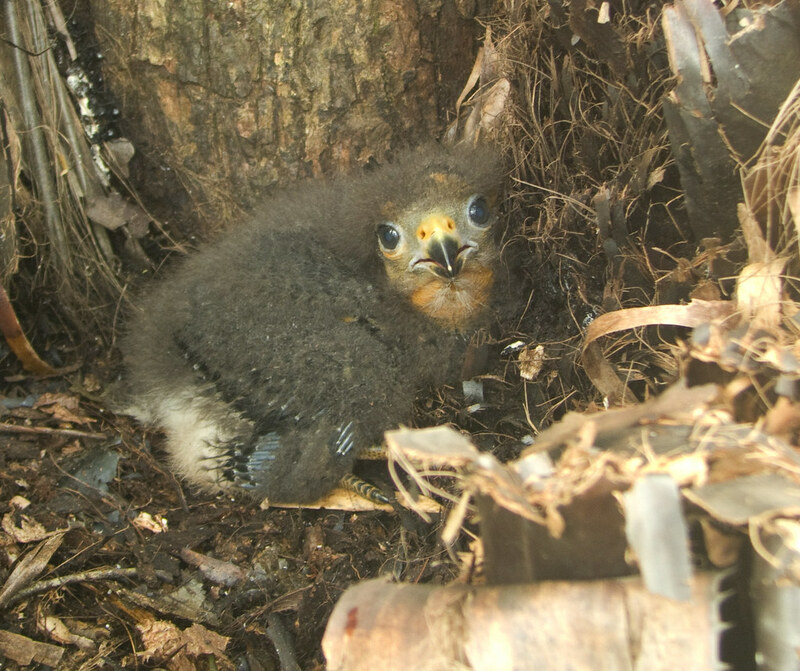 When I went up the tree to retrieve the camera, it was bittersweet, as we had succeeded in getting great data from our first field season, but our lovely caracara chick would grow up and fledge without us being there to see it. In just a few weeks of observation, she had already stolen our hearts. Of course, I brought my camera up to take a farewell portrait. Farewell, little caracara chick! Best of luck, and thanks for all the data! By the way, what is that on your beak? 1. Huber W (1932) Birds Collected in Northeastern Nicaragua in 1922. Proceedings of the Academy of Natural Sciences of Philadelphia 84: 205–249. 2. Thiollay JM (1990) Foraging , home range use and social behaviour of a group-living rainforest raptor , the Red-throated Caracara Daptrius americanus. 3. Whittaker A (1996) Nesting records of the genus Daptrius (Falconidae) from the Brazilian Amazon, with the first documented nest of the Black Caracara. Ararajuba 4: 107–109. 4. 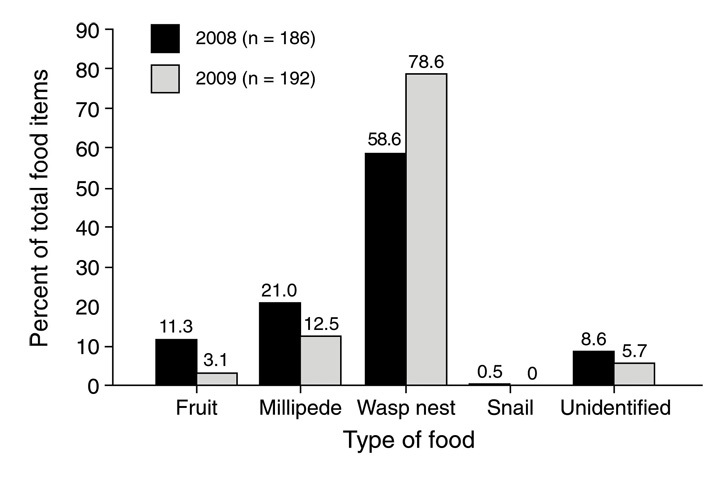 Valderrama X, Robinson JG, Attygalle AB, Eisner T (2000) Seasonal Anointment with Millipedes in a Wild Primate: A Chemical Defense Against Insects? Journal of chemical ecology 26: 2781–2790. 5. McCann S, Moeri O, Jones T, Donnell SO, Gries G, et al. 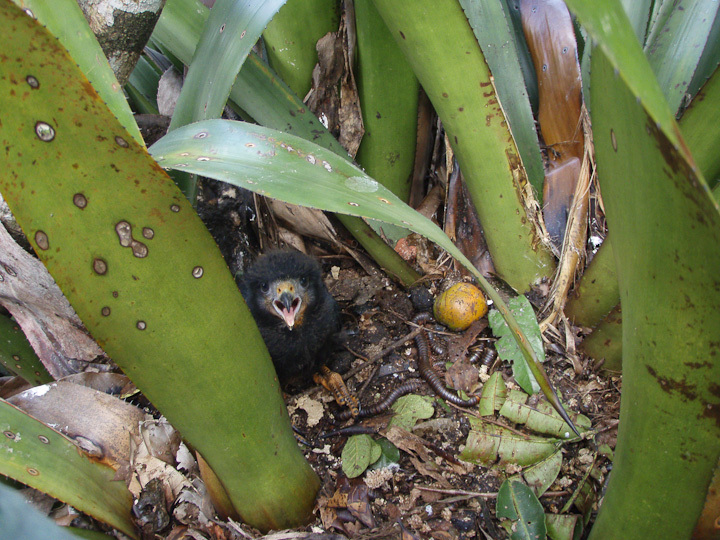 (2010) Nesting and Nest-Provisioning of the Red-throated Caracara (Ibycter americanus) in Central French Guiana. Journal of Raptor Research 44: 236–240. For all those interested, please come out to my talk today at the Science Rendezvous event at SFU today: 12:10 PM in AQ3005 at the Burnaby Campus. I will be discussing the foraging adaptations of this remarkable specialist predator of social wasps, with many exciting videos and pictures. This photo of of a Red-throated Caracara was taken by Manfred Bienert on April 18 near the village of Bijagua, which is just adjacent to of the Reserva Biológica Indio Maíz and close to the Costa Rican border. It shows one individual of a group of six perched high in a tree with a piece of wasp nest (Polybia spp.). This photo is important documentation of the continued presence of Ibycter americanus in Nicaragua, where they are considered extremely rare, having declined across most of Central America over the past several decades. Despite the status of the Red-throated Caracara across much of this region, there are no formal conservation plans for these birds as they are not in danger of going globally extinct. In this way, the statistics used by the International Union for Conservation of Nature (IUCN) can be misleading on a regional scale, as when a species is labelled “Least Concern” it misses out the fact that the bird may be disappearing in many countries. In Mexico, Red-throated Caracaras have been considered extirpated for some time, although it was previously present in Oaxaca, Chiapas , and Veracruz . They are listed as critically endangered in the Republic of Costa Rica , and “probably extirpated” in Guatemala [4,5]. In Honduras, the species has only recently been rediscovered after being largely extirpated since 1955 . In Panama, they are considered vulnerable. Factors responsible for these declines have not been identified, although habitat destruction is probably involved. Illegal shooting of birds could also be a factor, as they are likely to have a very slow rate of reproduction and a highly developed cooperative breeding system (we documented a group of 6-7 adults caring for a single chick) . I am glad to see that these impressive wasp-loving birds have not completely disappeared from Nicaragua, and am grateful for people like Manfred Bienert for documenting the wonderful birds of the region. 1. Iñigo-Elías E (2000) Caracara comecacao (Daptrius americanus). In: Ceballos G, Márquez-Valdelamar L, editors. Las aves de México en peligro de extinción. Instituto de Ecología, UNAM–CONABIO–Fondo de Cultura Económica. pp. 126–127. 2. Lowery GH, Dalquest WW (1951) Birds from the State of Veracruz, Mexico. University of Kansas Publications, Museum of Natural History. Lawrence, Kansas: University of Kansas Publications. p. 556. 3. AOCR (Comité Científico de la Asociación Ornitológico de Costa Rica) (2005) Lista de Especies de Aves con Poblaciones Reducidas y en Peligro de Extincion para Costa Rica: 1–2. 4. CNAP (Consejo Nacional de Áreas Protegidas de Guatemala) (2009) Lista de Especies Amenezadas de Guatemala: 83. Available: http://www.conap.gob.gt/Members/admin/documentos/documentos-centro-de-documentacion/lo-nuevo/Lista de especies amenazadas de Gutemala -LEA.pdf/at_download/file. 5. Dickerman RW (2007) Birds of the Southern Pacific Lowlands of Guatemala With a Review of Icterus gularis. 6. Narish AJ., Jenner T (2004) Notes on the Red-throated Caracara, Ibycter americanus in Honduras. Cotinga 22: 100. 7. McCann S, Moeri O, Jones T, Donnell SO, Gries G, et al. (2010) Nesting and Nest-Provisioning of the Red-throated Caracara (Ibycter americanus) in Central French Guiana. Journal of Raptor Research 44: 236–240. Available: http://dx.doi.org/10.3356/JRR-09-75.1.